Amsted Design-Build is no stranger to the winner’s circle. The Stittsville company has been honoured with the Greater Ottawa Home Builders’ Association Housing Design Award for Renovator of the Year six times, including back-to-back wins in 2014 and 2015. 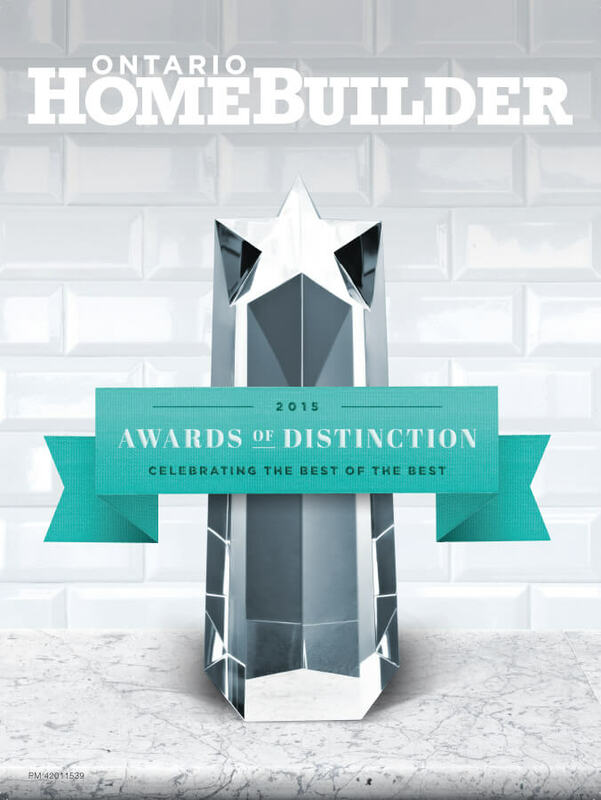 At the Ontario Home Builders’ Association Awards of Distinction held in September, the company reached another milestone, taking home its first provincial Renovator of the Year title. Amsted also accepted the provincial award for Most Outstanding Home Renovation with a retail value between $250,001–$500,000 for a whole-home transformation on Island Park Drive, one of the oldest and most beautiful streets in Ottawa. Renovator of the Year is a relatively new category for the provincial industry awards. It recognizes innovation and excellence in residential construction across Ontario, as well as outstanding professionalism and integrity within a company’s business, industry and community at large. With 25 years of experience and a reputation for personalized service, Amsted more than meets the award criteria. At the heart of the company’s success lie its core values: integrity, excellence and teamwork, notes Amsted founder Steve Barkhouse. Barkhouse founded Amsted Design-Build in 1989 as a one-man operation. Since then the company has grown to a 60-person team representing a combined total of more than 450 years’ experience in the construction industry. Barkhouse leads by example with his people-pleasing nature, ensuring a people-first corporate culture that encompasses clients, employees and partners. It’s one of the reasons several staff boast more than 15 years of experience with Amsted. This loyalty and long-term stability allows the company to invest in regular ongoing training, and helps ensure that all team members are on the cutting edge of building practices and techniques, including LEED-certified design, heritage preservation and green building. Recognizing that the home renovation experience can be a daunting, even intimidating experience for many customers, Amsted prides itself on making the process as easy as possible. Apart from conducting seminars in the community on renovation planning, appearing on CTV News in Ottawa to discuss reno trends, and providing extensive information, images and testimonials on its website, the company has learned through experience how to gently guide clients through the entire process.